While people generally understand that they will be arrested if they are caught driving under the influence, many people are surprised to learn that a driver can be arrested and charged with attempted DUI in certain circumstances. Because DUI is a general intent crime as opposed to a specific intent crime, it would seem unusual that a person could be criminally liable for attempted DUI. However, the California Court of Appeals has addressed this issue and has found that a person can potentially be charged with attempted DUI. The California Court of Appeals addressed attempted DUI in the People v. Garcia case. In this case, officers saw the defendant sitting in her vehicle that was stopped in the fast lane of the freeway with its flashers on. The officer asked the driver what was wrong but she did not reply. The officer noticed that the car was rolling backwards and the officer asked the driver to put her brake on, but the driver just stared out the window while the car rolled backward. The driver tried to start the vehicle which was in neutral and the engine was turning over. The officer was eventually able to get the driver to stop the vehicle. The officer had the driver perform field sobriety tests and later determined that she had a BAC of .13 percent. The defendant testified that if she was able to start the car, she would have driven it home. 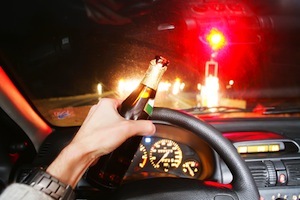 In its decision, the Court of Appeals held that there was enough circumstantial evidence to convict the driver of DUI given the fact she was the sole occupant of a vehicle located in the fast lane of traffic and she had the key in the ignition. Putting this aside, the Court concluded that attempted DUI is a crime in California. The Court recognized that there would be troublesome questions which would have to be raised at a later date and noted that DUI is a general intent crime while attempt requires a specific intent to commit the underlying offense. The Court noted that “we can envision a situation in which a person who is mildly under the influence would be capable of forming the requisite specific intent to commit attempted driving under the influence, but a person who is severely intoxicated would be incapable of forming such intent.” This would indicate that the drunker a driver is, the less likely he or she is to be charged with attempted DUI, which is a strange result. In California, the DUI statute requires proof that the defendant was actually driving his or her vehicle and that there was volitional movement of the vehicle. This is a stricter standard than many other states, which only require a showing that the defendant exercised control over a vehicle. In these other states, merely sitting in a driver’s seat with keys in the ignition may be enough to convict a driver of DUI. When no driving is observed, officers and prosecutors will often try to prove a defendant was driving with circumstantial evidence. This can include observations about where a vehicle is located and whether the suspect is the sole driver. Officers will also check to see if the car’s engine is warm as well as other signs that a vehicle had been driven recently. If you have been charged with DUI, it is crucial that you consult with a Los Angeles DUI Lawyer right away. As a former Deputy District Attorney with over 14 years of prosecutorial experience, Los Angeles DUI Attorney Michael Kraut is highly adept at representing clients charged with all varieties of DUI offenses. For more information about Los Angeles attempted DUI, and to schedule your free consultation, contact Los Angeles DUI Lawyer Michael Kraut at the Kraut Law Group located at 6255 Sunset Boulevard, Suite 1480, Los Angeles, CA 90028. Mr. Kraut can be reached 24/7 at 888-334-6344 or 323-464-6453.